St. Vladimir's Summer Camp | An Orthodox Christian Church Camp in Farmdale, Ohio. Sunny summer days and starry summer nights will be here before you know it! For over forty years, campers have relied on the current pool for a much needed break from the hot summer sun. Unfortunately, the pool is beginning to show its age with problems persisting over the last few years. 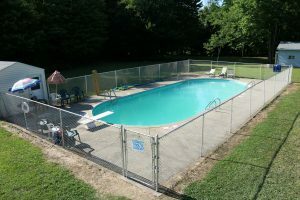 So we’ve begun raising money for a new pool.